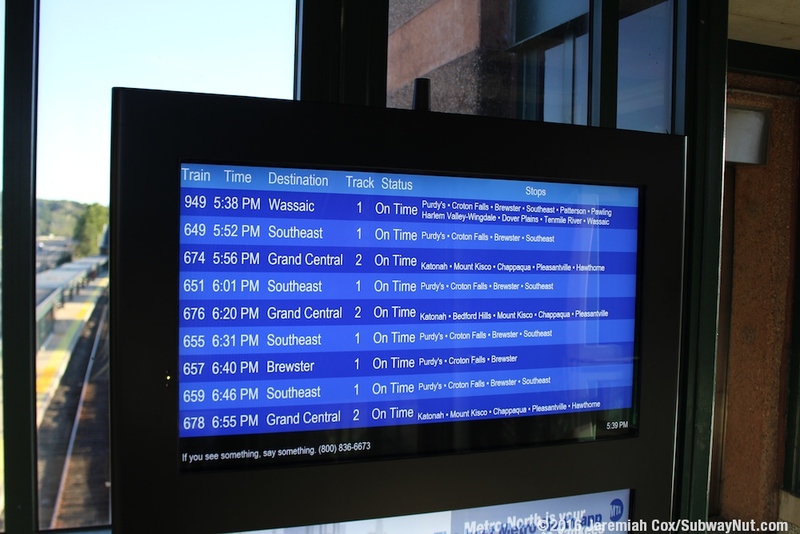 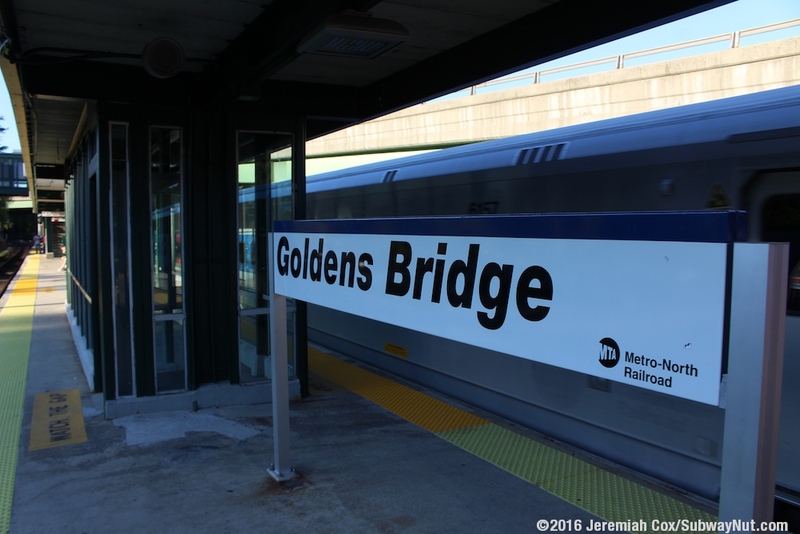 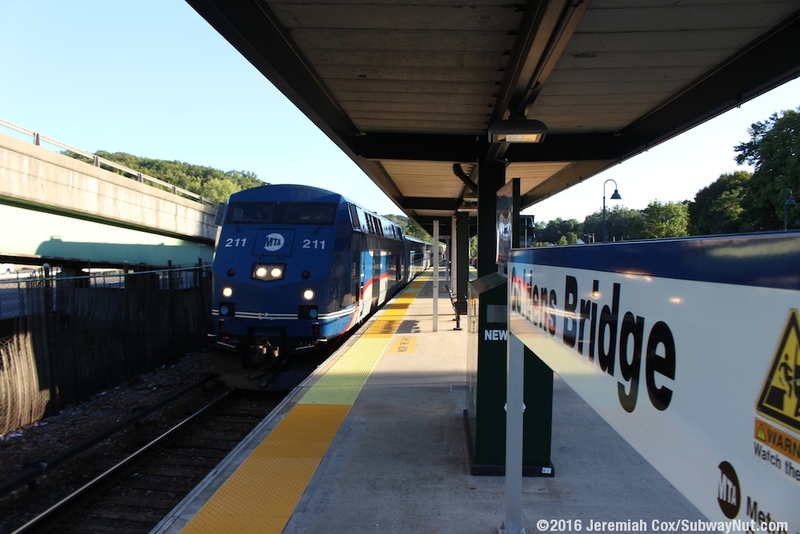 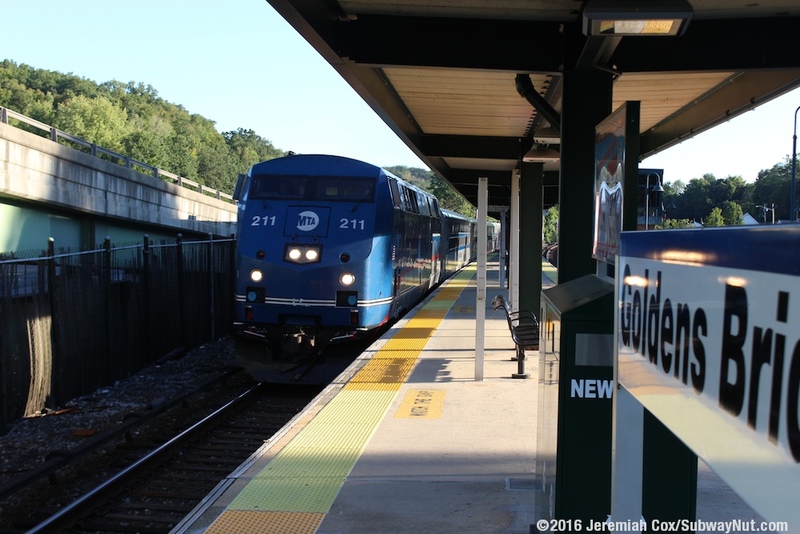 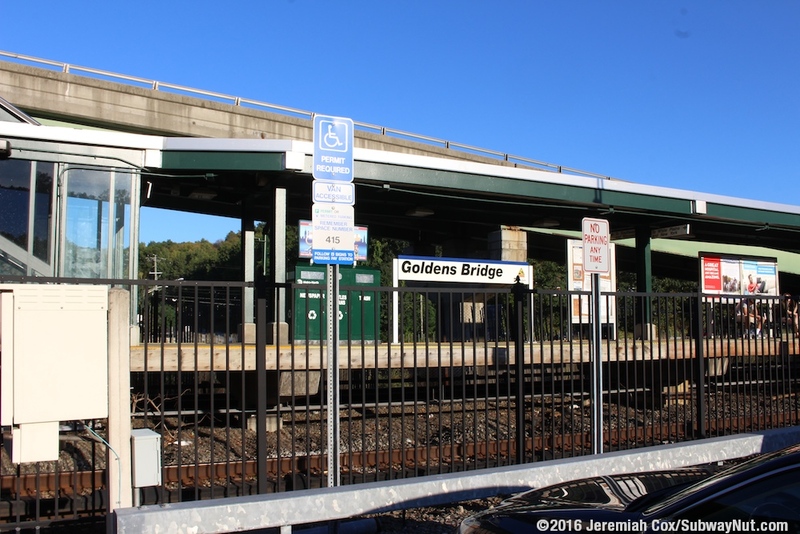 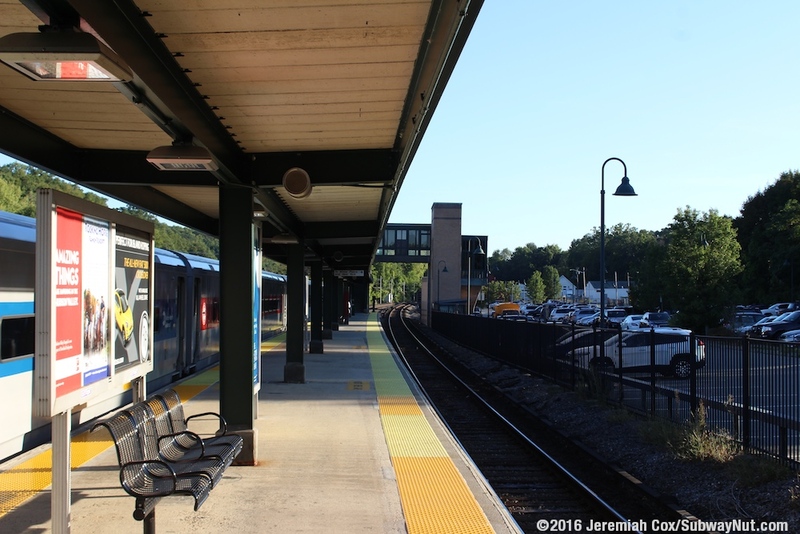 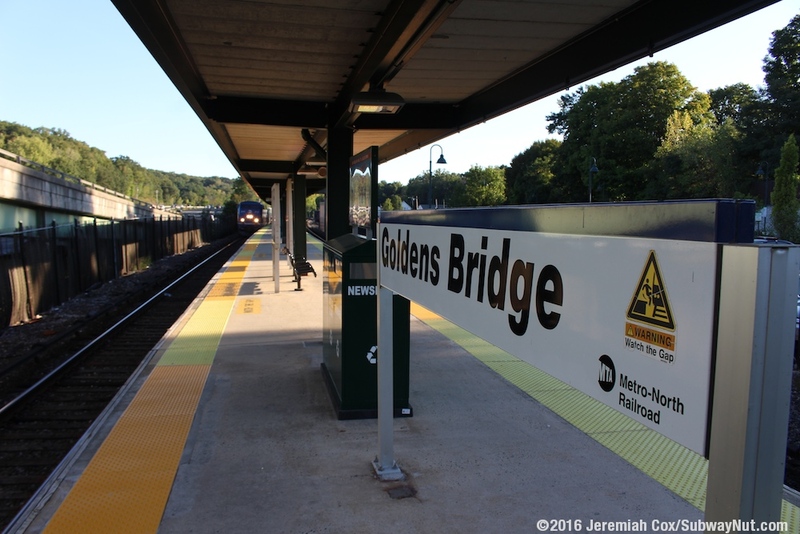 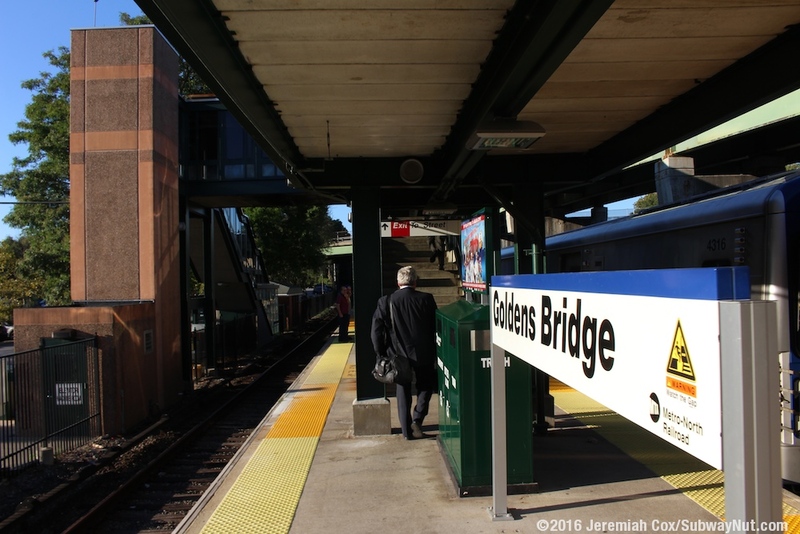 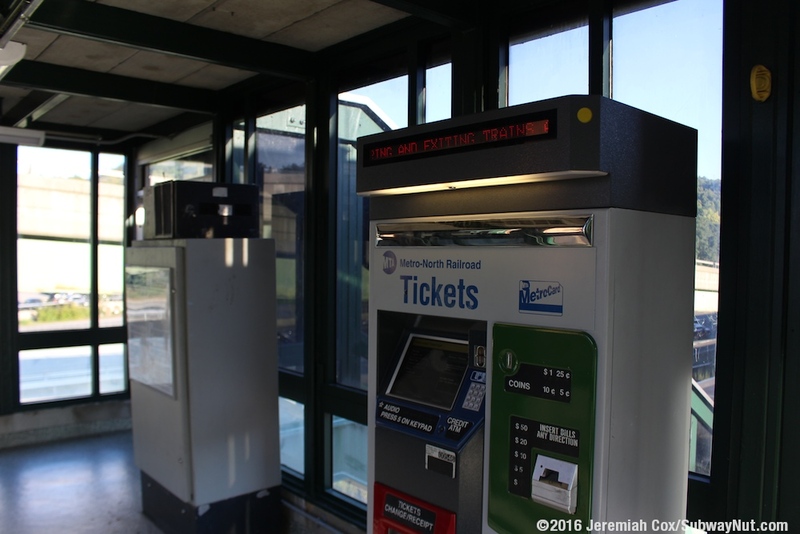 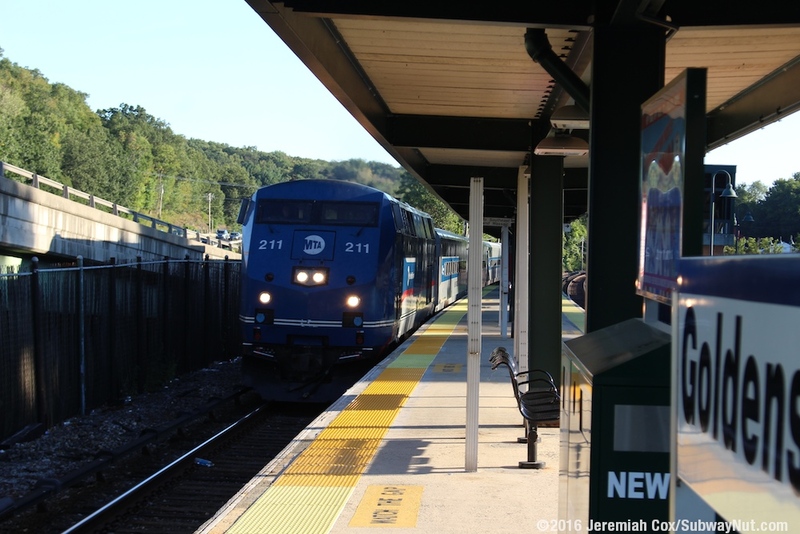 Goldens Bridge is a Metro-North station along the portion of the line that hugs I-684. 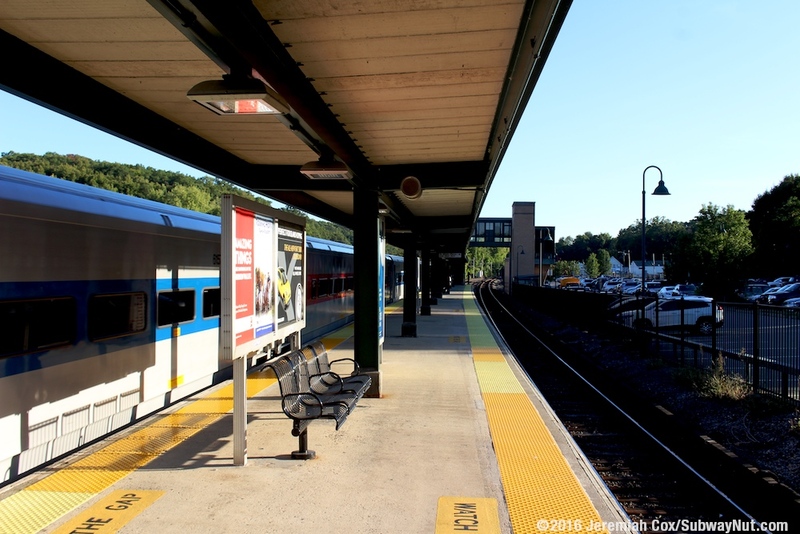 The station is designed as a park & ride with 976 parking spaces in 4 different sprawling parking lots, primarily between the station and Old Bedford Road. 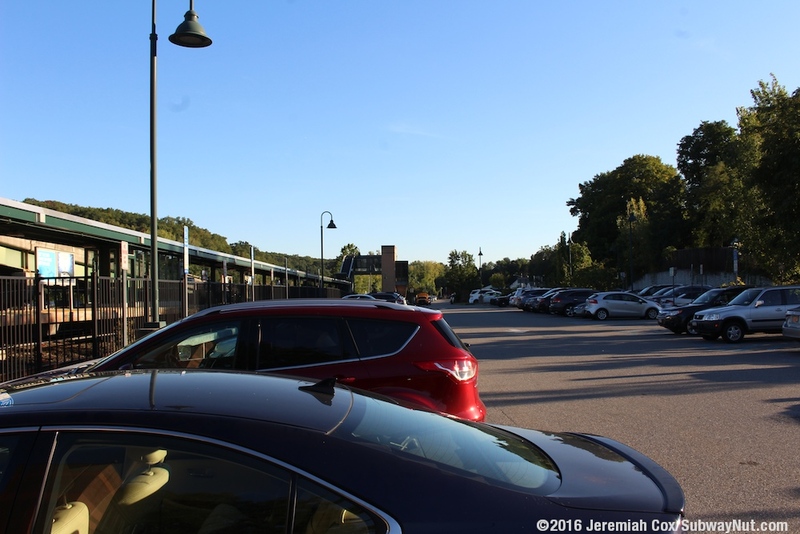 An excess parking lot is even on the opposite side of I-684 with passengers required to use the sidewalk of Waccabuc Road/Route 138 to access it (even crossing an on-ramp to the highway). 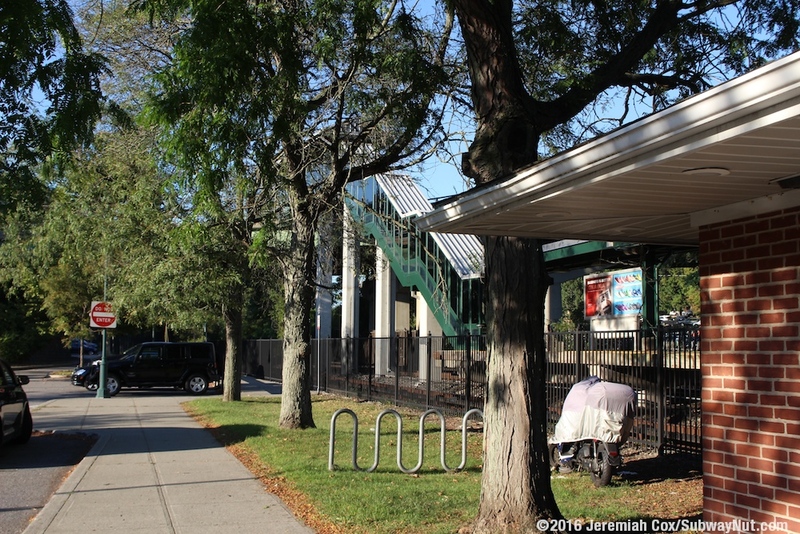 The platform has a single island platform for the two track line that begins with a covered staircase (that looks like it has been retrofitted since when the station opened in 1984) from the Waccabuc Road overpass and runs south, accommodating 8 cars. 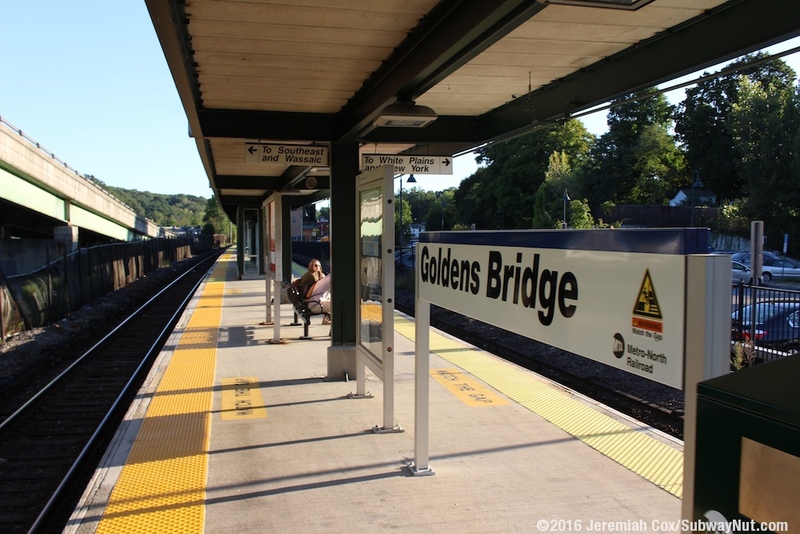 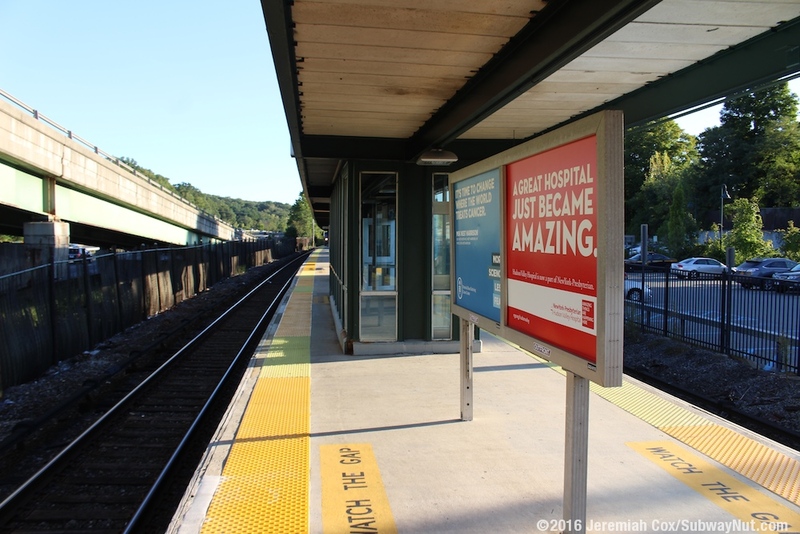 Unlike the rest of the Upper Hudson Line island platforms, this platform has two more pedestrian bridges off of it to the west parking lot. 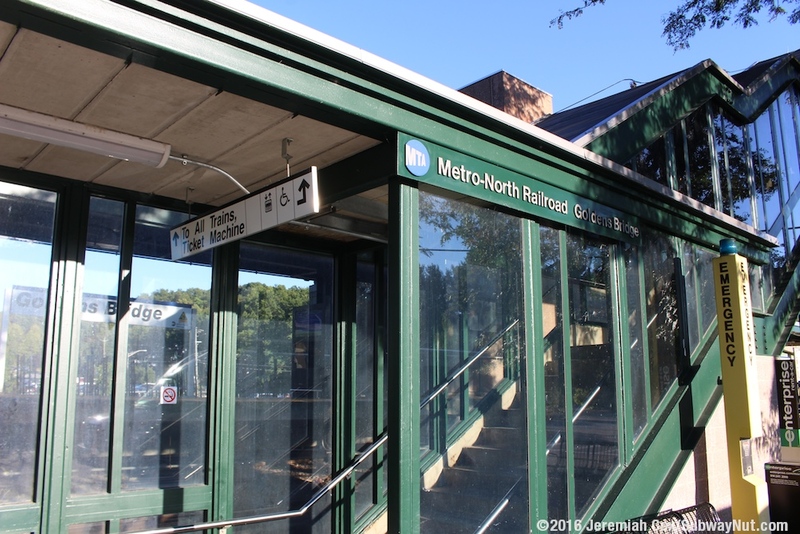 The middle one ADA accessible with a staircase and elevator access to each end of it. 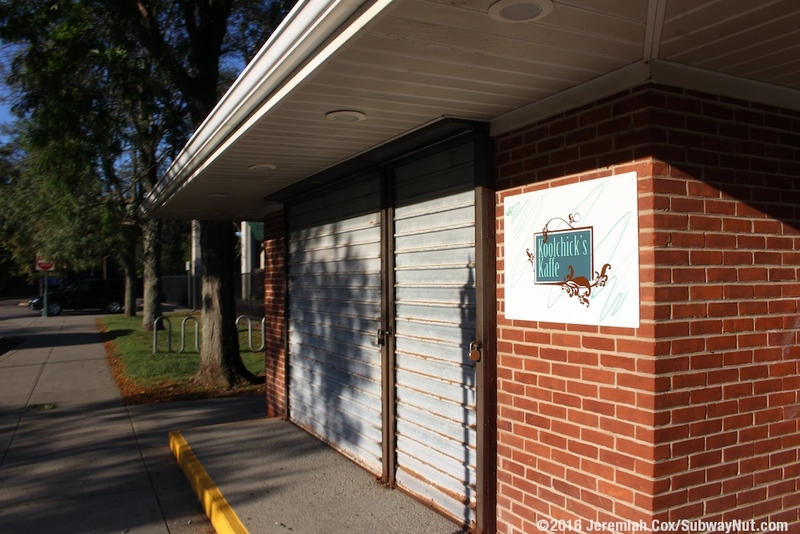 In the main drop-off area of the parking lot is a brick building that resembles a kiosk and contains a morning coffee and newsstand, Koolchick's Cafe. 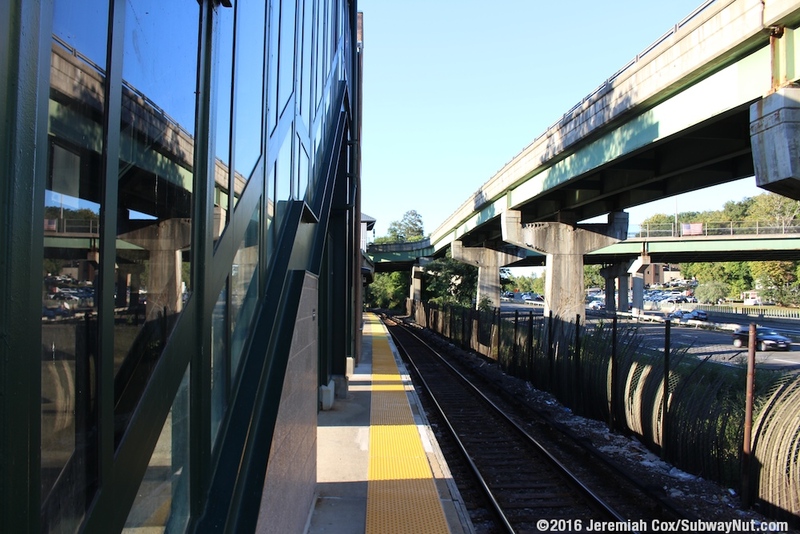 At the southern end of the platform there is a third enclosed pedestrian bridge providing additional access to the parking lot. 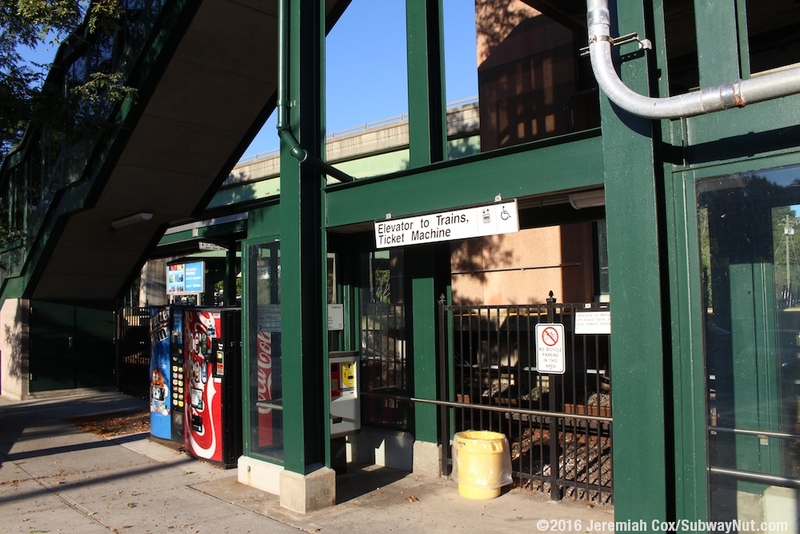 The entire platform has a canopy structure that is painted green.